The French Empire in Vietnam ended in 1955. In support of the non-Communist southern half of the country resisting reunification, by 1968 half a million American soldiers were fighting there. Casualties and TV footage of troops persecuting villagers or accidentally bombing children with napalm turned public opinion against the war. President Johnson abandoned his re-election plans because of it. The last Americans withdrew only in 1973. 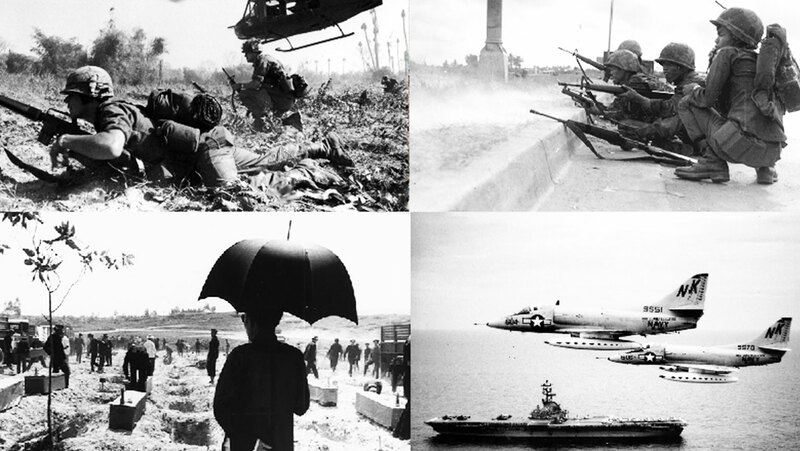 The Vietnam syndrome constrained American military actions for decades.